Finally!! 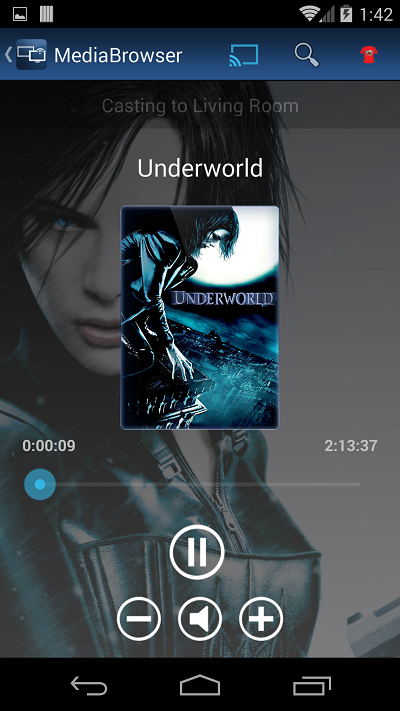 I'm very pleased to announce that the Android MediaBrowser client now supports Chromecast. Everyone who has a device running Google Play Services 4.2 should see it in the coming days. 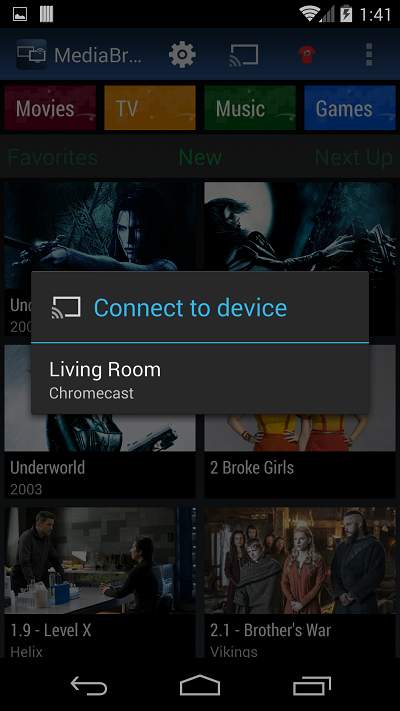 Chromecast will behave like it does in most other clients. Select a route using the route selector and then the play actions will play on the selected Chromecast device. In the near future I'll be merging the Remote play and CC functionality so that it's the same interface for both. Had a blast testing Red. You should be proud of the outcome. Brilliant work as always. Great Job RedShirt!!! Works like a charm! Awesome, my chromecast is on its way. Now add liveTV and I can ditch XBMC. When can those of us who purchased the Android client through the Amazon Web Store expect an update to enable Chromecast? There will not be an Amazon update supporting Chromecast. Amazon doesn't have access to Google Play Services which is required for Chromecast. So Amazon will reject the update if I try to publish it. I think you may have misunderstood me. I bought the Android client through Amazon, not through the Play store. My device is a standard android phone (not a Kindle or any specific Amazon hardware), which has play services installed. I've simply chosen to purchase your app through Amazon instead of Google. I would expect that the application itself is the same regardless of which store I purchase it from? If you are not making the update available via the Amazon app store for "standard android" users, what is my alternative for getting the upgrade? I assume you intend to support your paying customers.. ? any word on the iOS version? Bought a Chromecast just for this... Hoping it all work well!